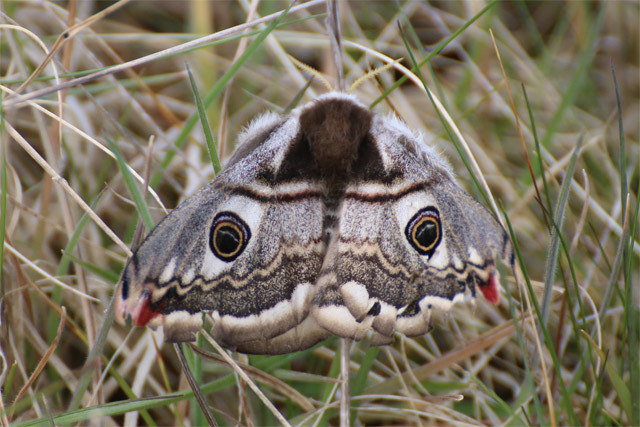 Walking through sand dunes at the north of the Ardeer Peninsula late morning today, I came across a female Emperor Moth. 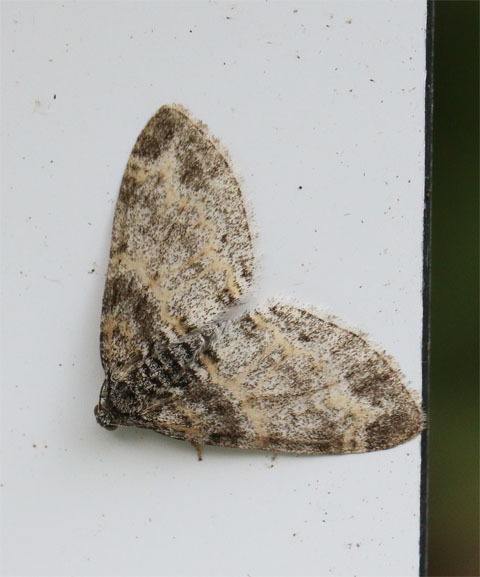 Despite being such a distinctive species, it would have been surprisingly easy to miss, its pale grey and brown colouration and cross-lines doing a good job of helping it blend in to the dead grass. 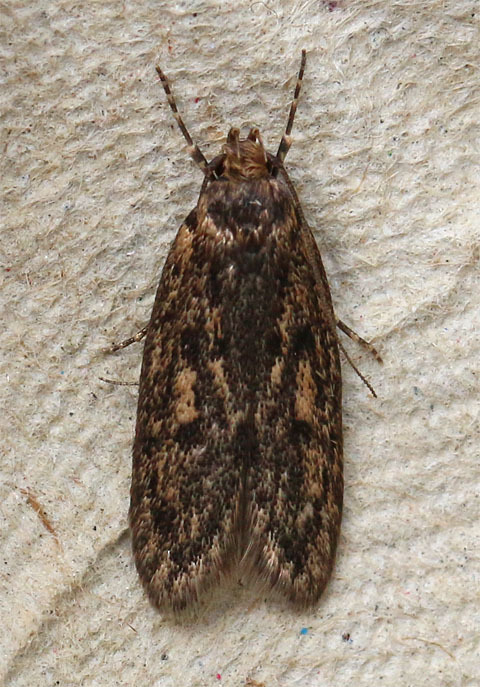 Today, towards the end of a walk around Ardeer Quarry LNR, I found a micro moth on my trousers. I potted it and took it home for a closer look. 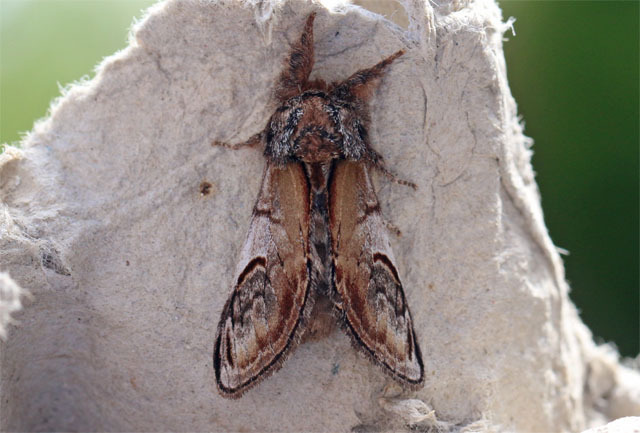 It was Eriocrania unimaculella, an early spring species, the larvae of which feed on Birch. From the sources I’ve checked, there don’t appear to be any previous formal records for Ayrshire. 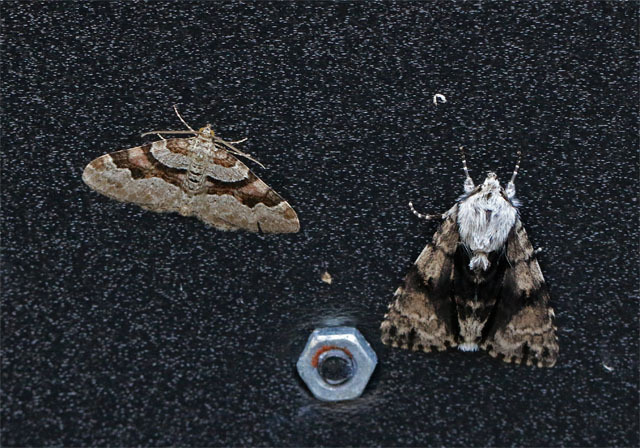 Two traps at Ardeer Quarry Local Nature Reserve produced a good haul of moths for the time of year, not least because it was cloudy, calm and reasonably warm at night. 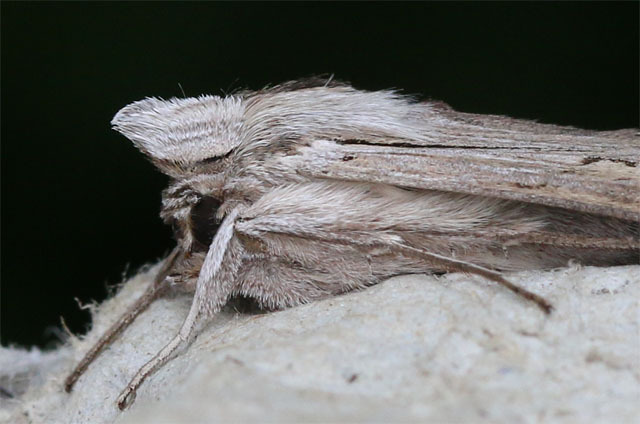 Highlights were 3 Least Black Arches and a Pale Pinion. 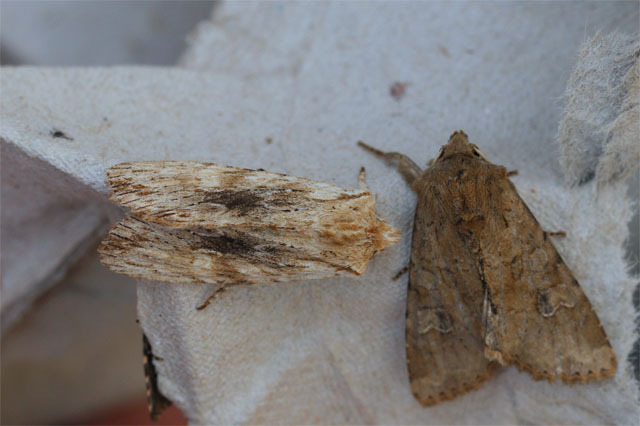 Pale-shouldered Brocade was the most common species in the trap, with Spectacle not far behind. 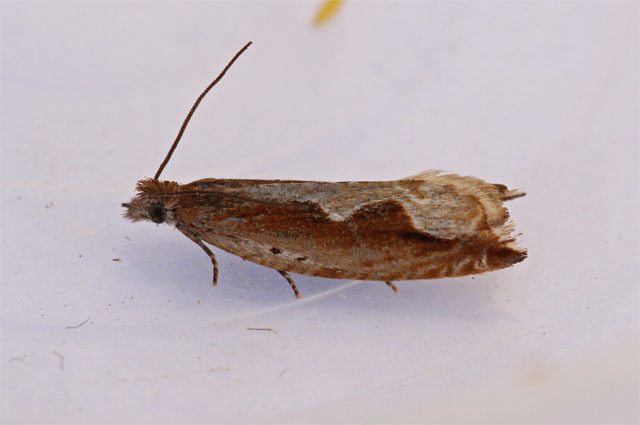 Whilst removing a few Willow and Birch saplings from a wildflower-rich area at Ardeer Quarry LNR, I flushed and caught a micro moth. 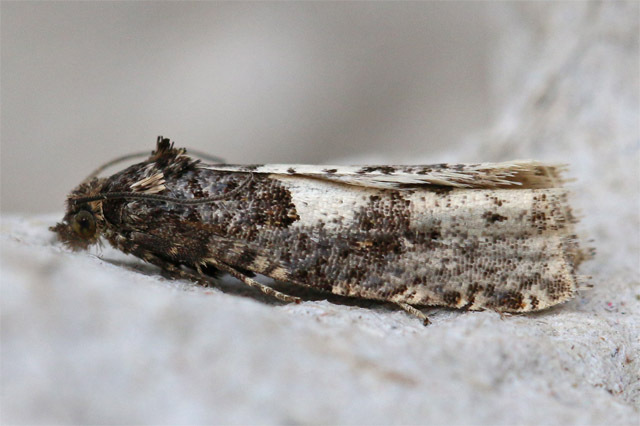 Ancylis geminana is new for the reserve and is perhaps the first formal record for Ayrshire. However, it's almost certainly widespread in the county, if somewhat local. 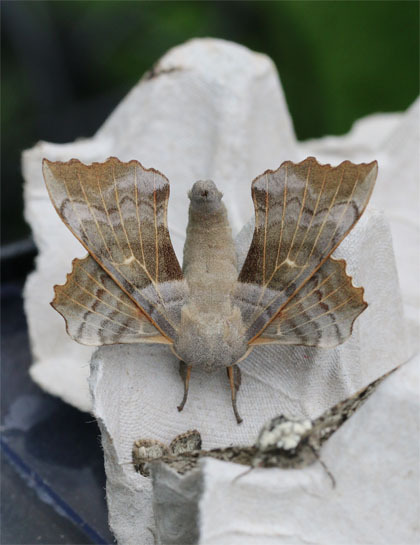 It’s a Willow-feeding species found in wetland area. 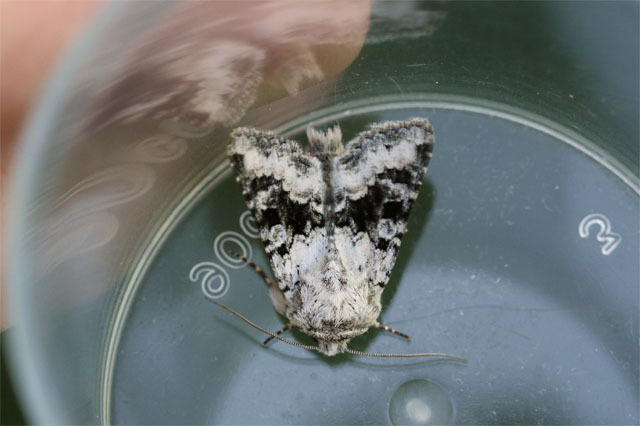 I caught it beside an area of marshland and Willow carr. 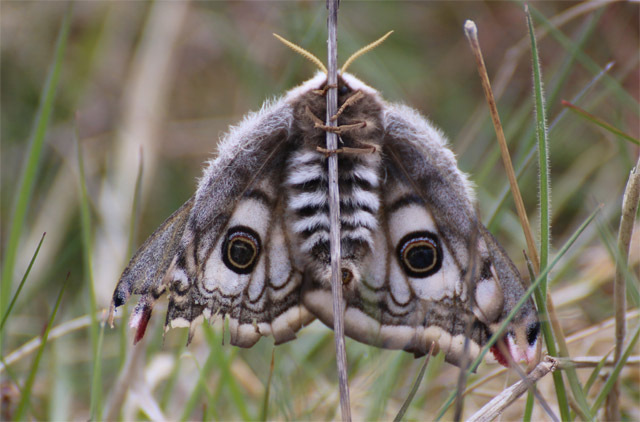 The reserve's second Seraphim was of the strongly pattered variety. There are several stands of Aspen trees on the reserve, which might serve as its food plant here. 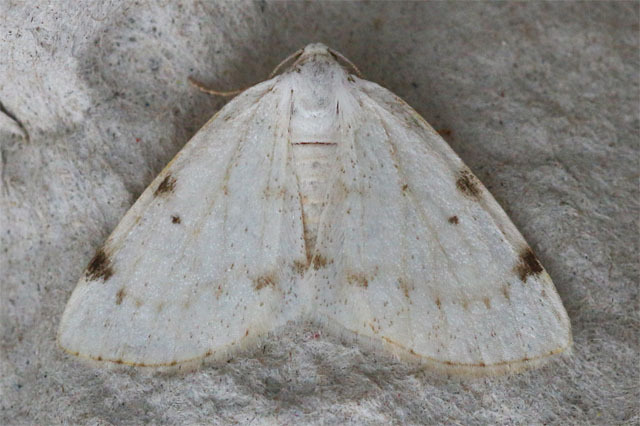 I think this Broad-barred White is a first for the reserve. (I thought I’d caught one a couple of years ago, but I can find no records or posts to support this). 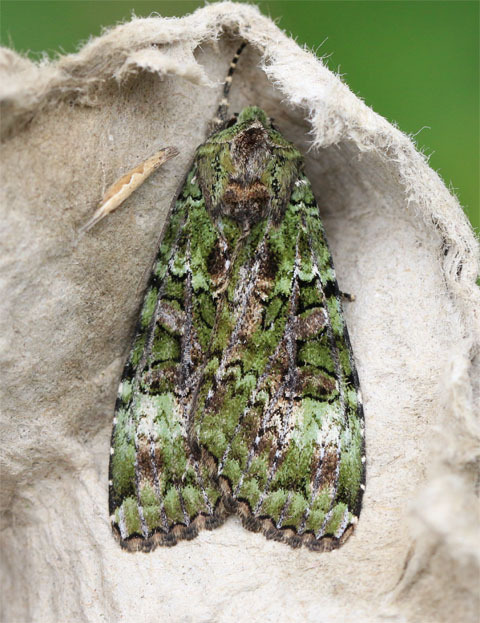 Alder Moth is caught in small numbers quite regularly on the reserve. This was the first of the year. 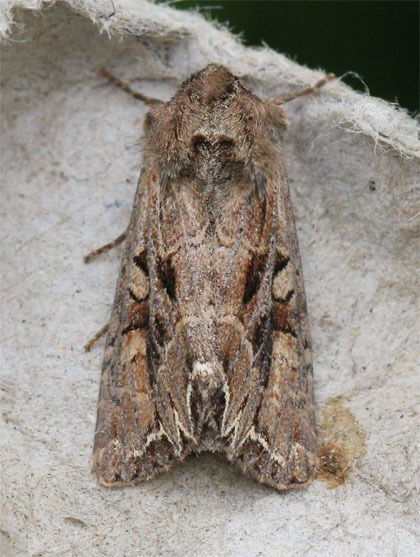 Also, the first Miller of the year was on the outside of a trap. 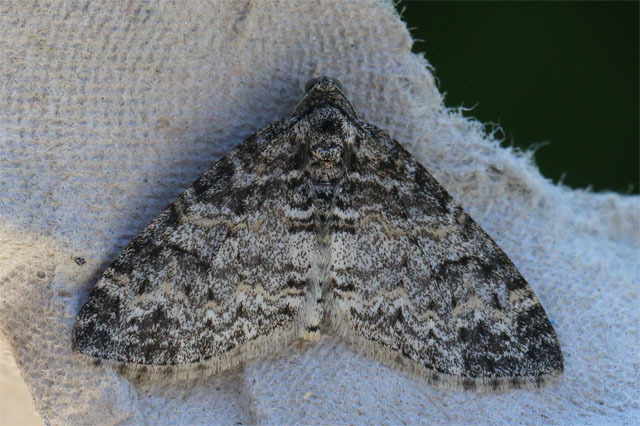 Although it's a local moth, its common here in summer, perhaps because of the abundance of Birch near the trapping site. 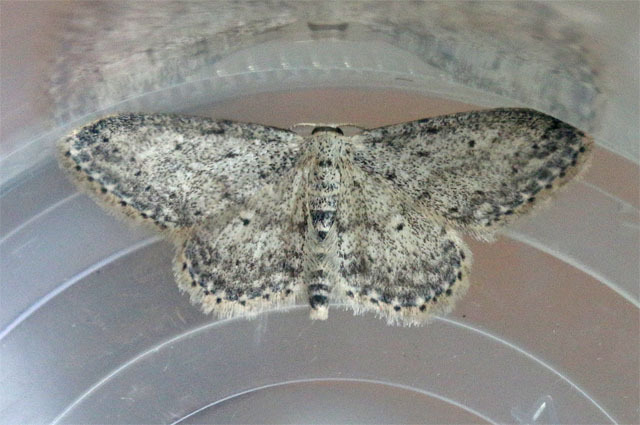 13 Least Black Arches between the two traps was the highest number I’ve had. 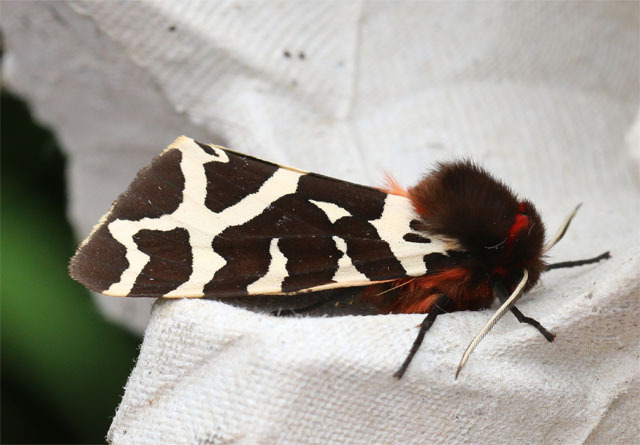 A great night for moths – hot and sunny all day, then clouding over for a warm night of about 13 or 14 degrees owing to a weather front coming in from the east. 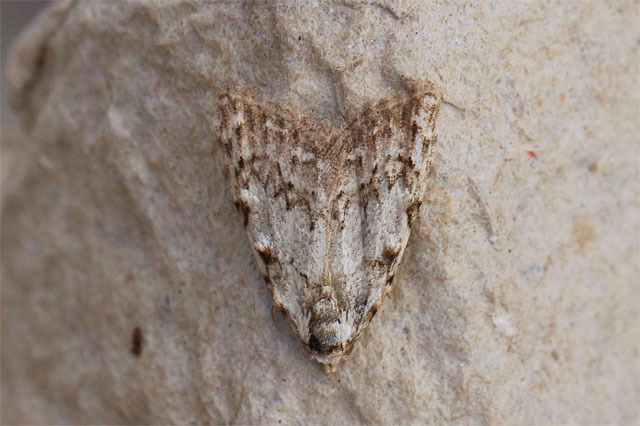 White Pinion-spotted was a new species for Ardeer Quarry Local Nature Reserve. 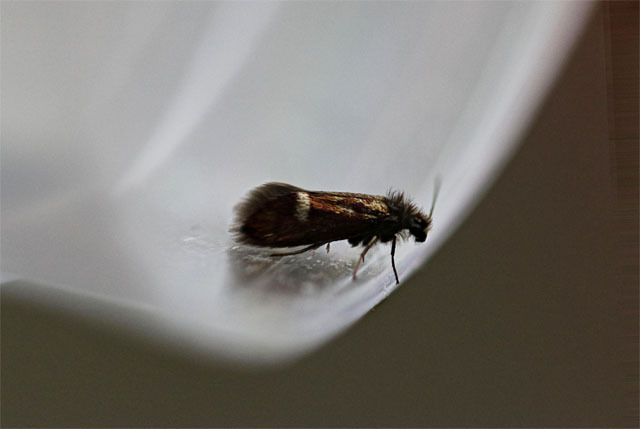 A new micro moth for the site was Bryotropha affinis. 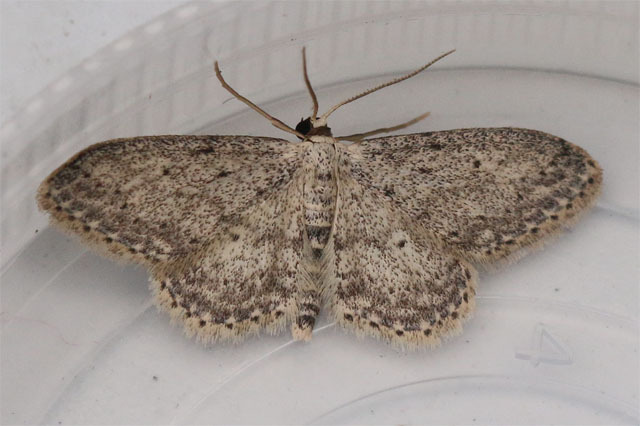 The main highlight at Ardeer Quarry LNR was a Small Dusty Wave beside the traps, which seems to be new for Ayrshire. Its distribution has a strong eastern bias in Scotland. You are having a good time of it between your two sites. Very little of interest here, not even an early LYU thank goodness! Nick, it's certainly better than last year - I have a sense of optimism and expectation when checking the traps, rather than a sense of hopelessness! The highlight of a trapping session at Ardeer Quarry Local Nature Reserve was a Shark, which is new for the reserve. 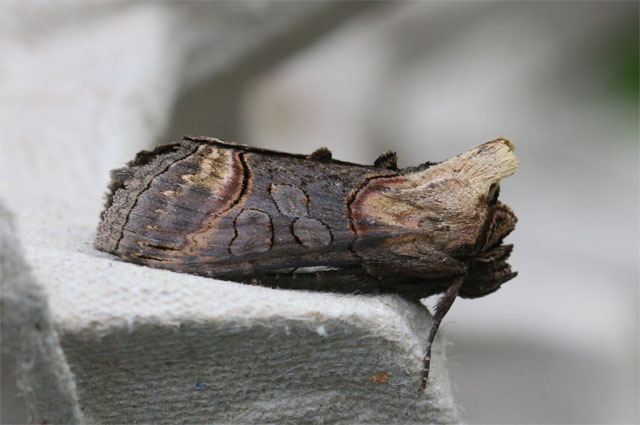 Other interesting species included the reserve’s (and probably Ayrshire’s) second Dog’s Tooth, a Dark Spectacle and a Yellow-barred Brindle. 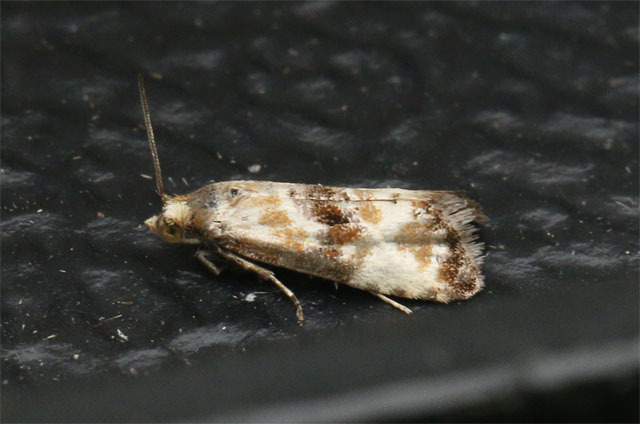 A new micro for the site (and probably for Ayrshire) was the very local Phalonidia manniana, which feeds on Water Mint. There is a profusion of Water Mint around the large pond on the reserve and in the adjacent ditches. (Note: As is the case with most of my lists, the lack of pugs mentioned is purely a reflection of the fact that I've been too lazy to take the time 'get to grips' with them). 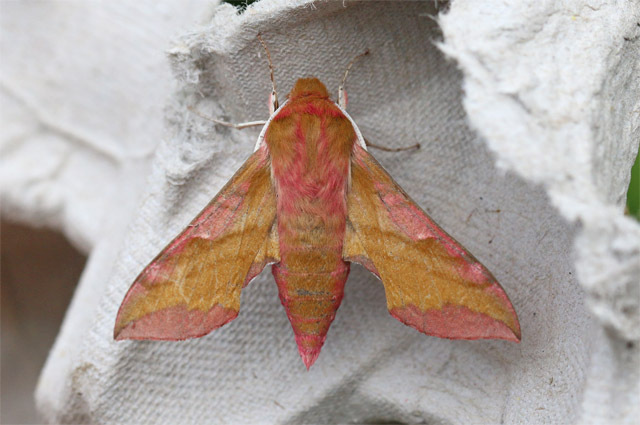 Small Elephant Hawk-moth was a pleasant surprise. 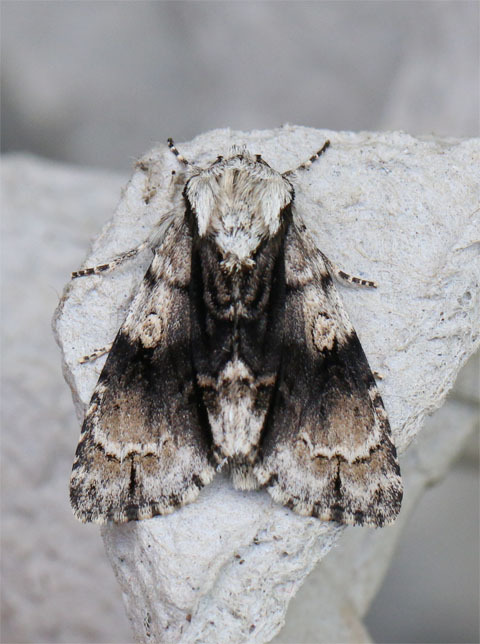 It's a new addition to the Ardeer Quarry LNR site list. 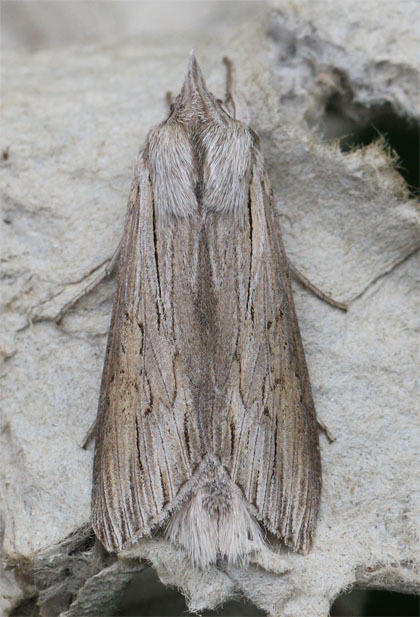 Epiblema scutulana was a new species of micro for the site. It's a common, thistle-feeding species.